Brett Bowers was born in High Point and raised in the Triad, NC area. He has lived, studied, and worked in different regions of North Carolina. He comes to the School of Law from the North Carolina State University Counseling Center, where he practiced clinical counseling for nearly 7 years. During his time there, he coordinated the center’s substance abuse services and on-call system. He also served on its clinical, groups, and outreach committees, as well as intradivisional task forces. As a major service contributor, Brett has worked clinically with hundreds of undergraduate and graduate students. Brett earned his Bachelor of Arts (psychology) degree from the University of North Carolina at Chapel Hill in 1999. He went on to study College Student Development at Appalachian State University, where he increasingly concentrated on counseling practice. 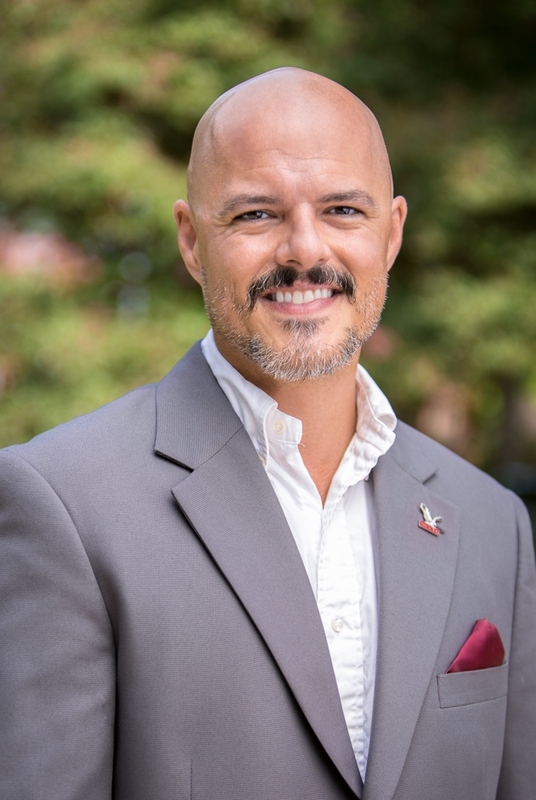 After brief experiences with university disability and career counseling, he began focusing on the mental health aspects of student development and began his career as a university counseling center practitioner. Acknowledging substance use as an issue endemic to collegiate life, he began study for a post-master’s certificate in addiction counseling. Brett’s first counseling center placement was at all-women’s Meredith College in Raleigh. After graduate school, Brett served for three years as Clinical Counselor and Director of Counseling Services at Johnson & Wales University in Charlotte. Being a newly-incepted residential campus, Brett drew on his practical strengths in clinical counseling and his educational background in student development to build and formalize its student counseling services. In addition to face-to-face counseling, he concentrated on student outreach and was a consultant to academic advising, disability services, and the university’s behavioral monitoring unit. Brett is a Licensed Professional Counselor Supervisor and Licensed Clinical Addictions Specialist in North Carolina. He is also certified by the National Board for Certified Counselors as a National Certified Counselor and Master Addictions Counselor. Brett is a member of the American Counseling Association, American College Counseling Association, and Addiction Professionals of North Carolina. He adheres to the Code of Ethics of the American Counseling Association. Brett lives in Durham with his wife, also a mental health practitioner, and three children. He enjoys music, outdoor experiences, and family-oriented fun. He values moderation, well-roundedness, and potential.